Jewish activist launches class action suit against Jordan and PA for decades of discrimination against Jewish rights at Temple Mount. Jewish activist and attorney Baruch Ben-Yosef this week launched a 1 billion shekel ($263 million) class-action lawsuit against Jordan, the Palestinian Authority (PA) and a radical Arab group over their discriminatory practices against Jews on the Temple Mount, the holiest site in Judaism. An Israeli law from 2000 states that operators of public sites cannot deny entry on the basis of race, religion, nationality, gender or political affiliation, with offenders liable to pay up to 50,000 shekels in damages. Ben-Yosef is suing on behalf of the thousands of Jews who have been harassed, banned from prayer, or simply blocked from the Mount for decades, reports Walla! on Thursday. In the suit submitted to a Jerusalem District Court, Ben-Yosef pointed out that the PA and its chairman Mahmoud Abbas are guilty of "continuously inciting violence on the Temple Mount to eliminate or decrease Jewish visitors to the Mount." His suit also argues that the ongoing Jordanian claim of sovereignty at the Mount, which it continues to hold de facto control over via the Waqf, is illegal, given Israel's liberation of the holy site in the 1967 Six Day War. The lawsuit also targets the radical Islamic Movement in Israel, which has called to conquer the Mount, and which he notes "took it upon themselves to fund, support and incite Muslims on the Temple Mount to take action against Jews who visit the site." Ben-Yosef noted that activists of the Islamic Movement in Israel routinely harass Jews on the Mount and even violently attack them, in an attempt to intimidate them from visiting the site. "While the plaintiff and other Jewish citizens of Israel are waiting outside in the cold or hot weather for approval to enter, hundreds of tourists from around the world receive preferential treatment and are allowed inside," reads the suit. 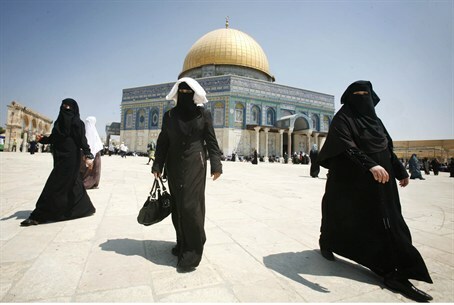 It noted that the discrimination "damaged the dignity and respect of the defendants during their visit to the Temple Mount."